Nova Natural has been my favorite place to buy high quality children’s toys for many years now. I am always happy to share this space with them. Nova Natural Toys & Crafts is a small, family-run business based in the beautiful state of Vermont. 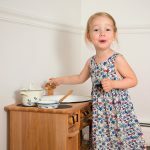 We hope to be your trusted source for wholesome children’s toys and crafts that promote imaginative play, engage curious minds, and foster an appreciation for nature and family. We carefully hand-select each item featured in our catalog, and it’s important to us that we do our very best to offer Fair Trade products made with renewable resources. We hope you find beauty and wonder in our toys! We love featuring whimsical and unique costumes and dress up for the fall. 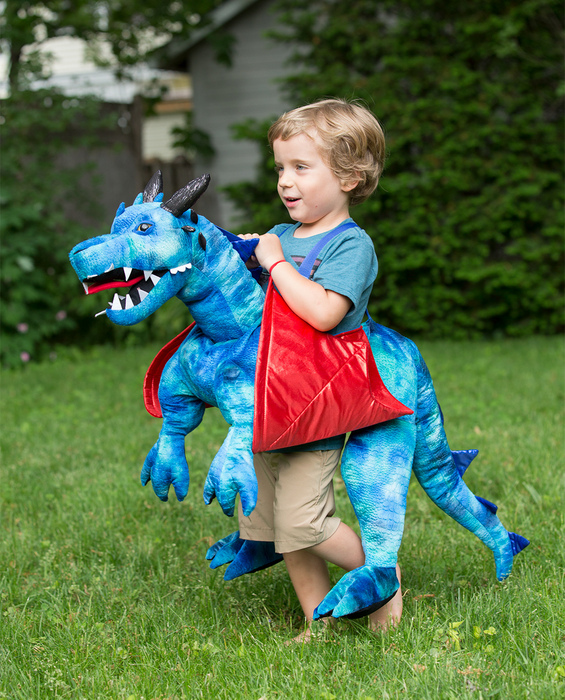 Of course, they’re perfect for Halloween, but playing dress up is a wonderfully active, imaginative and thought provoking activity for any day of the season. 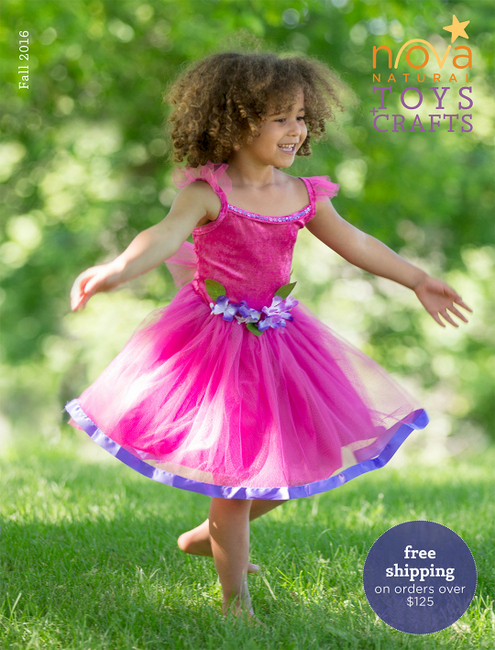 We’re happy to offer high-quality costumes that are built to last, like our Royal Princess Costume. This ensemble is intricately detailed with a shimmering bodice, flowing sleeves and an even an authentic hooped skirt. 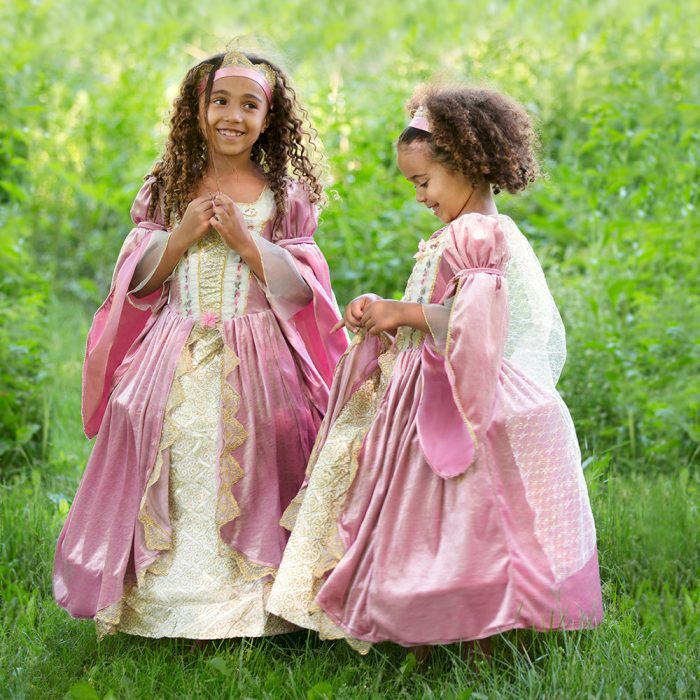 Young princesses will be transported back in time when they slip into this dreamy dress. 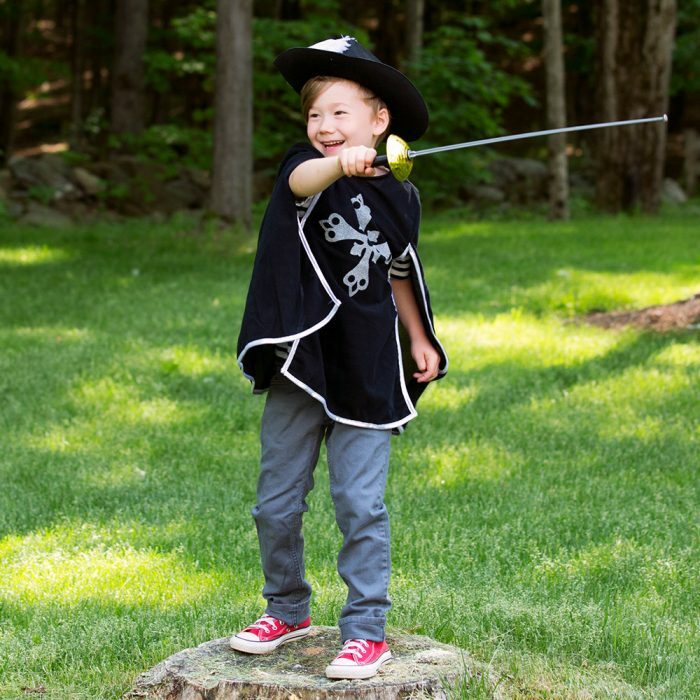 For the boys and girls who like a bit more adventure, the musketeer ensemble will ready them for whatever may come their way, whether it be a backyard duel or a secret rescue mission. When they don their plumed hat and stealthy black smock, they’ll feel as though they can conquer any foe. As we enjoy the last few days of warm weather, it’s time to start brainstorming engaging indoor activities for some of those cold and windy days. 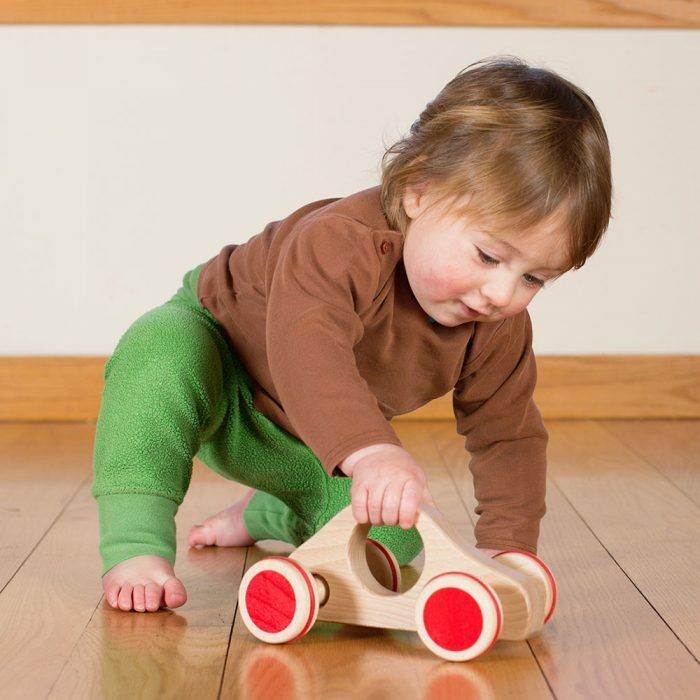 Our collection of wooden toys and play sets are a great option. The wooden rally car, made in Germany, has cleverly designed axles and rubber rimmed wheels to make sharp turns around any obstacle. It’s a sweet and classic toy for little ones. 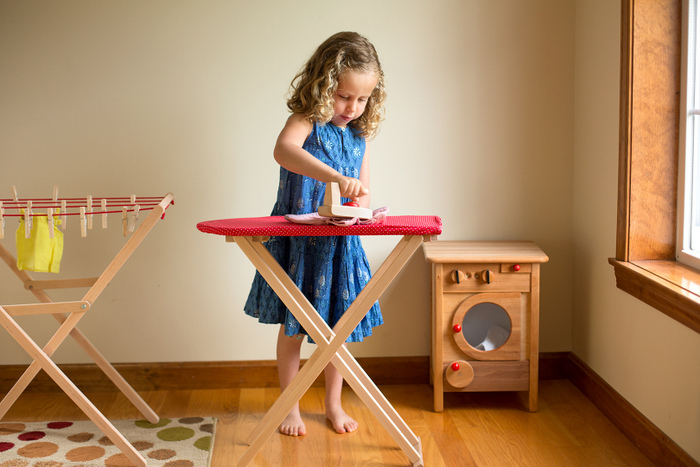 Our new pretend play laundry set from Poland will provide hours of entertainment on chilly days. Children love pretending to wash, hang, and iron all their doll’s clothes. Our Fall Catalog is hot off the presses! Claim yours ASAP, by clicking here. We’re happy to offer a $50 Novanatural.com eGift Card giveaway to one lucky Small Things reader. We’d also like to offer an exclusive Small Things promotion: $10 off when you spend $75 or more, using the promo code SmallThings10. Hurry, this exclusive discount expires October 15th. For your chance to win, leave a comment on this post. Comments will close and a winner will be randomly selected on Monday, September 26th. The winner will notified via email and announced within this post. Oooh this would be great, my daughter’s first birthday is in two weeks! Thank you! I love the product nova makes. We will probably buy from them soon. Longtime Nova lovers here, thanks for the chance! So excited to win something from this small business! This is wonderful! I would love to win. Thank you for the give away. The musketeer ensemble looks great! Thanks for the chance to win! I would love to get some cute things for my God Daughter. These “toys” are exceptional. So glad to learn about Nova Natural. would love a chance to do some fun shopping for my nephew. Thanks!